England will be hoping the feelgood factor that began in the summer in the World Cup and filtered through into their UEFA Nations League campaign will flow into their Euro 2020 qualifying campaign. They kick off with what is, on paper, their toughest home game of the group when the Czech Republic visit Wembley on Friday night. The Czechs are, however, not the force they once were and have not qualified for a World Cup since 2006. They have fared better in the European Championships but, despite qualifying for Euro 2016, performed poorly and earned just a single point in their group games. Manager Jaroslav Silhavy will though be hoping that Euro 2020 will offer a chance for his squad to prove they are better than their FIFA world ranking of 44, and in a group of modest quality will be confident of qualifying. If successful, it will be the Czechs seventh successive qualification for the Euros since Czechoslovakia split into two countries. Get the best odds in Euro 2020 with our selected bookmakers below. There is plenty of hard work for them ahead however, and in their most recent qualifying campaign they failed to deliver, finishing four points behind Northern Ireland and in their UEFA Nations League group. The Czechs will however look to build on two wins in their last two games, with wins over Poland and Slovakia at the back end of 2018. For England’s part, they have a young squad that is being continually refreshed with talent from their successful younger age-groups, with the likes of Jadon Sancho and Callum Hudson-Odoi now being introduced into the senior squad. Southgate’s new, modern ethos is paying dividends quicker than the FA chiefs had hoped and they will head into this qualifying group bursting full of confidence. With a big crowd expected at Wembley, who are revelling in this young vibrant iteration of their national team, it’s difficult to see anything other than an England win. But, the one area of Southgate’s team that’s subject to change is the back four and so we can see the Czechs grabbing a goal. England should still have more than enough though, and we’re going for 3-1 to England 12/1 13.00 +1200 12.00 12.00 -0.08 with Bet365, with Sancho grabbing his first international goal 8/1 9.00 +800 8.00 8.00 -0.13 with Bet365. Portugal, the current holders of the Euro crown, have been handed what looks a pretty decent group, alongside Ukraine, Serbia, Lithuania and Luxembourg. While the Ukrainians and Serbs may offer some resistance, we don’t expect the Portuguese to have too much trouble in qualifying for the 2020 finals and having a chance to defend the trophy they won in such dramatic circumstances in Paris 2016. It all begins for them on Friday night with Ukraine the visitors to Lisbon in what could prove to be their toughest challenge on home turf. The Eastern Europeans, now coached by the legendary Andriy Shevchenko, have technical ability but are as yet unproven again Europe’s elite. Despite Portugal under-performing in last summer’s World Cup – where they were knocked out by Uruguay in the round-of-16 – they bounced back in some style in the UEFA Nations League by topping a group that also featured Italy and Poland to qualify for next summer’s semi-finals. Significantly, the Nations League success was achieved without Cristiano Ronaldo, but the five-time Ballon d’Or winner is back in the squad for the 2020 qualifiers, which is bad news for Ukraine. Ronaldo will be joined by, amongst others, Wolves trio Rui Patricio, Joao Moutinho and Ruben Neves, Porto defender Pepe and Man City’s Bernardo Silva to make for a formidable looking home side, all of which adds up to a big ask for the visitors. The Ukrainian are in decent form though and earned promotion in the Nations League by winning their Group B league that featured the Czech Republic and Slovakia. They will also look to a successful Euro 2016 qualifying campaign that saw them get to the France finals via the play-offs. 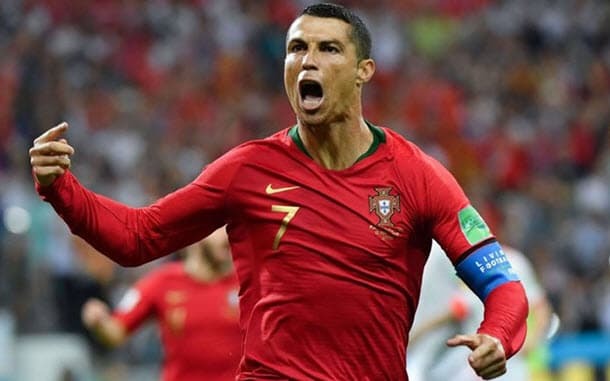 It’s hard to see them getting too much in Lisbon however – their best results in the group look likely to come in Kiev – and so we are going for a Ronaldo inspired 2-0 for the home side, available at a very reasonable 9/2 5.50 +450 4.50 4.50 -0.22 with Bet365. And there’s no keeping the great man down, so consider too a brace for Ronaldo at 5/2 3.50 +250 2.50 2.50 -0.40 , also with Bet365.